Children are using devices at earlier ages and it’s difficult to know how much time and what type of interaction children should have with tablets and cell phones. » Timber Town gets a gym! Tablets and smart phones can be wonderful tools for children to learn and communicate. Even so, experts advise parents to limit the amount of time children spend with devices. » Parents should be very involved in their child’s experience with electronic devices, especially at a young age. » Talk with your child as he/she tries out a new app, asking questions about the game and pointing out different aspects of the content. » Don’t underestimate the learning power of reading a book with your child or spending time exploring the outdoors. For example, allow your child to take photos of bugs with your iPhone, then going online together to read more about the insects in the images they capture. Tired of driving to Sandy or Clackamas to get fit and be healthy? 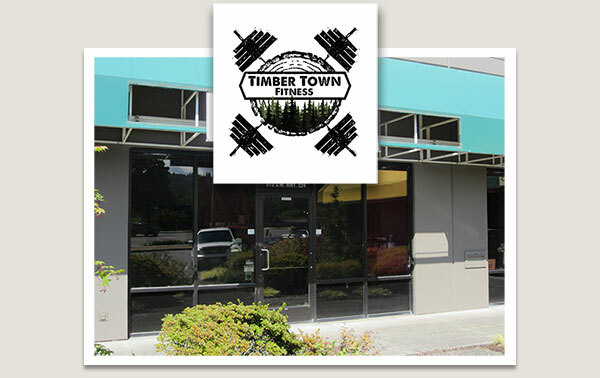 Now there’s a new option: Timber Town Fitness opening soon in Estacada. Located next to Subway at 321 SE Hwy, Timber Town offers a complete fitness experience including treadmills, elliptical machines, free weights, showers and a group exercise room. Visit their website at www.timbertownfitness.com. You can also follow them on Facebook to stay updated on the latest news and promotions at the gym! Call 503-630-LIFT (5438) for more information. Looking for alternatives to satellite? Can’t get satellite or Cable TV? Now you can get a fuller TV viewing experience including LIVE, Local Broadcast Channels . Unique to Reliance Connect’s new service, EZVideo, is access to our private Roku Channel where you can watch live TV networks like KATU, KGW, KOIN, FOX, OPB, OPB Plus*, KRCW and KPDX in high definition. All of this is provided through the #1 rated streaming video player in the market: ROKU. View more than 1000 channels and 150,000+ hours of shows and movies - The Roku Channel Store gives you access to hundreds of OnDemand entertainment channels (e.g. Netflix, Crackle, Hulu Plus, etc.). Hours of FREE television shows and movies, games and subscription based content. All of this for less than $20.00 a month. and we’ll give you 9Mbps Internet for the 6Mbps price! when you sign up for EZVideo! *Taxes and surcharges extra, additional TV’s are billed $2.00 per month for the service, 3 maximum per household. Additional TV fees waived if customer signs up for the Extreme EZVideo Bundle. Other restrictions and fees may apply. Contact a customer service representative for complete details. A phone line is a measured line of service and provides unlimited incoming calls, local calling at no charge, and calls to Portland Metro areas or cellular phones billed at .05 cents a minute. Also provides the security of land line to reach 911 in the event of an emergency. New DSL customer’s must sign a 6 month contract or pay a one-time activation fee of $125.00. OPBPlus is provided in standard definition. Originally launched in 2001, XP was Microsoft’s most successful operating system (OS). On April 8, 2014 Microsoft ended support for this OS version. 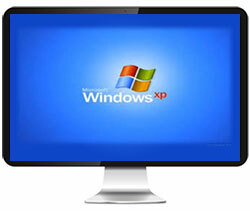 Microsoft announced they would no longer offer support, updates or security patches for Windows XP. What does this mean for you the consumer? Most of us subscribe to the “if it ain’t broke, don’t fix it” mantra when it comes to our computers. However in this case-we believe it is important that all of our customers are made aware of this potential vulnerability. Some experts suggest upgrading to a newer OS version if your existing computer is less than 3 years old. If it is older than that, you may be better off just buying a new one. Here’s a link to Microsoft’s website that explains more about this change. If you have questions about this article or your computer, our friendly help desk is available Mon-Fri 6am-8pm, Saturday 8am-8pm and Sundays from 9am-5pm. We also offer PC repair in our Estacada office and may be able to assist you with upgrading your OS version. Reliance Connects Technical Support line can be reached at 503-630-8909 or via email at support@rconnects.com.